New Jersey is a national leader in providing high-quality preschool to low-income 3- and 4- year olds. Research shows that children who attend quality preschool are more likely to succeed in school and in life. Download Preschool Changes Lives Infographic. A recent study found that by 4th or 5th grade New Jersey children who attended our state-funded, quality preschools are, on average, three-quarters of an academic year ahead of students who did not attend a quality preschool. Preschool is also good for taxpayers. For every dollar spent on full-day, high-quality preschool, we save on costly special education, prisons and other crime-related expenses and public assistance, studies show. Despite a 2008 mandate to expand high-quality, full-day preschool to disadvantaged students across New Jersey, only four districts have received funds to achieve this goal. Advocates for Children of New Jersey is a leader of the PreK Our Way Campaign, which is working to build grassroots and statewide support for funding preschool expansion. New Jersey is one of 13 states receiving federal funds to expand preschool to children living in low- and moderate-income families. The grants totaled more than $226 million, under the Preschool Development Grants program. New Jersey is expected to receive about $66.5 million over four years. In 2015, the state will receive $17.5 million. Over the four years, about 2,300 kids will benefit from this new federal funding, either through new preschool classrooms or through raising the quality of existing preschools. 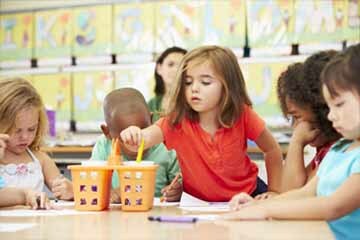 Learn more about NJ’s preschool expansion plan.